Stanley had known it was a mistake to accept his uncle Lech’s offer to apartment-sit in Prague—he’d known it was one of Lech’s proposals, a thinly veiled setup for some invasive, potentially dangerous performance art project. But whatever Lech had planned for Stanley, it would get him to Prague and maybe offer a chance to make things right with T after his failed attempt to propose. 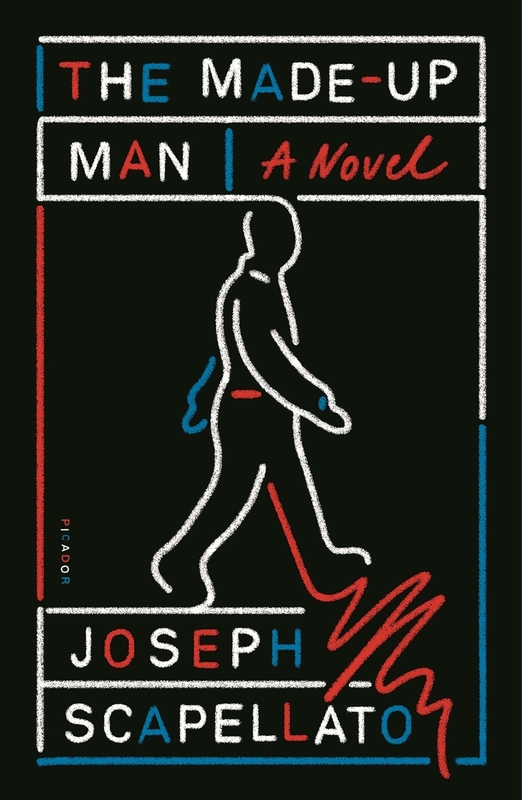 Immediately and wholly immersive, Joseph Scapellato’s debut novel, The Made-Up Man, is a hilarious examination of art’s role in self-knowledge, a sinister send-up of self-deception, and a big-hearted investigation into the cast of characters necessary to help us finally meet ourselves. "An experimental and existential noir . . . [The Made-Up Man] keeps its pages turning with absurdist comedy, committed throughout to the idea espoused by Stanley’s late grandmother that whatever else he may be, 'Man is a beast that laughs.'" 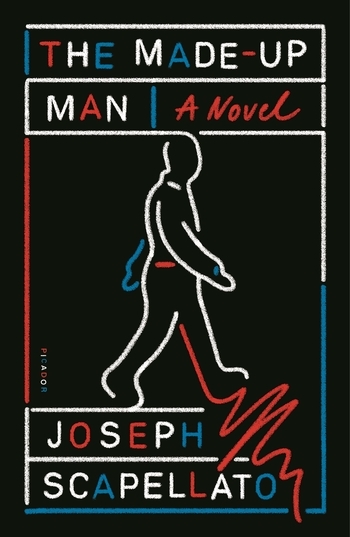 "Joseph Scapellato's The Made-Up Man reminds me of a bacon-topped doughnut—a mixture of incongruent elements that somehow work well together. And like that sweet treat, Scapellato's blend of existential noir, absurdist humor, literary fiction, and surreal exploration of performance art merges into something special. . . . The Made-Up Man is a rare novel that is simultaneously smart and entertaining. It looks at the ways we perform ourselves, through the experiences of a man floating in a haze after the academic career and the relationship that grounded him and gave him a sense of self are no longer there . . . This is a strange book, but just like with food, trying new things can lead to pleasant surprises"
"The Made-Up Man is a darkly comic, noir-styled novel powered by an energy that’s equal parts mischief, good humor, and measured cynicism. Based on conventions lifted out of the old detective story playbook, the novel is told from the perspective of a slippery narrator, whose sense of identity expands, collapses, and shatters against a series of nagging moral questions that are less situational than they are existential. The result is an intoxicating alchemy, something genre-blurring and philosophically riveting." "A Czech-based film noir of which Kafka himself would be proud." "Wholly original . . . the deviously warped literary noir The Made-Up Man is an unpredictable and thought-provoking tale of deception, love, and identity." "Joseph Scapellato's novel The Made-Up Man is one of the most fun books I have read all year, a smart and absurdist take on noir." "This absurdist comedy/noir/coming-of-age novel follows Stanley after he agrees to participate in his Uncle Lech's performance art project in Prague . . . Merging the ludicrous and the melancholic, the odd premise provides many laugh-out-loud moments and some curious insights and enables Stanley to explore and understand why he performs the same role each and every day." Joseph Scapellato’s debut story collection, Big Lonesome, was published in 2017. He earned his MFA in fiction at New Mexico State University and has been published in Kenyon Review Online, Gulf Coast, Post Road Magazine, PANK, UNSAID, and other literary magazines. His work has been anthologized in Forty Stories, Gigantic Worlds: An Anthology of Science Flash Fiction, and The Best Innovative Writing. Scapellato is an assistant professor of English in the creative writing program at Bucknell University. He grew up in the suburbs of Chicago and lives in Lewisburg, Pennsylvania, with his wife, daughter, and dog.